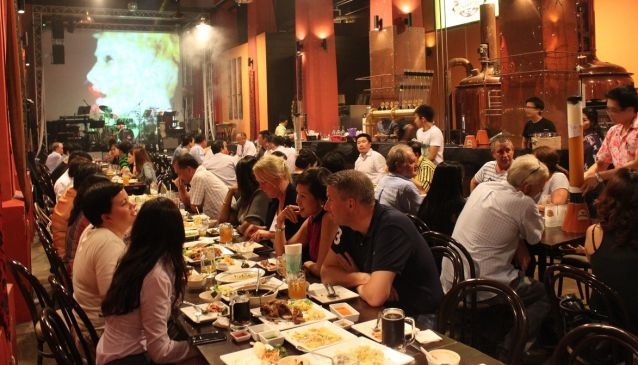 Tawandang is an innovative microbrewery, pub and restaurant offering freshly brewed German Beer, delicious and authentic Thai food as well as daily live music, sucessfully combing the concept of East meets West. The beer is made from high-quality ingredients from Germany and brewed in style by the German brewmaster, guaranteeing the traditional German beer taste. At the 350-seat restaurant, expect typical friendly Thai hospitality and your favorite dishes from Thailand. Evenings are very animated with daily live music and funny, engaging performances from Tuesday to Sunday. Lunch and early evenings are quieter and also a nice location for a family meal, with other things such as lovely furniture shops around Dempsey Hill to visit.